Digitization is becoming part of life in an ever increasing number of areas — and will even further accelerate the decentralization of energy supply. It is therefore no wonder that the subject is at the top of the agenda of SolarPower Europe, the European photovoltaics trade association. Detlef Beister, Business Development Manager at SMA, is also part of this. Detlef, you are a member of the “SolarPower Europe Digitalisation & Solar Task Force.” What is behind this? SolarPower Europe is the European photovoltaics trade association, and already has over 200 members from all areas of the value chain. There are working groups for various subjects that are currently of particular importance. One of those is the “Digitalisation & Solar Task Force,” which was called into being at the end of 2016, and which is chaired by SMA. I have been participating in the working group since February, and have taken over the lead of one of the deliverables, the ten “Regulatory Asks.” In this, we have formulated what is necessary for policy makers to do in order that the digital transformation of the energy system can be driven forward at pace. We handed these requirements over to the policy makers at the end of June. Prior to this, the “Seven Commitments on Digitalisation” — that is to say the self-imposed obligations of the PV industry for a faster and yet secure digitization — was launched at the Intersolar back in May. These documents carry a good deal of weight because along with SMA, other industry giants, such as ABB, Huawei, Schneider Electric and Siemens, are also represented in the task force. The working group published the “Digitalisation & Solar Report” at the European Utility Week in Amsterdam at the beginning of October, which is arguably the first in-depth analysis in the world of the opportunities and possibilities for photovoltaics that will arise from digitization. As far as you are concerned, what are the most important findings of the study? 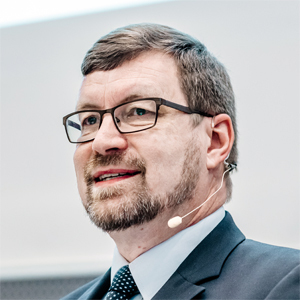 From my point of view, the most important finding is that digitization has already become a part of all points within the PV value chain — from system design, through yield forecasting, the production of the individual system components (keyword Industry 4.0), and the integration of PV systems into intelligent buildings, in subjects such as integration into smart grids, micro grids and peer-to-peer trading, all the way down to operation and maintenance. Digital services represent an unbelievable amount of additional business potential for the photovoltaic industry, for example in the areas of local energy management for increased self-consumption and the aggregation of PV systems for participation in virtual power plants or energy communities. This also shows that SMA, with our strategic objective of developing ourselves into a system and solution provider, has backed exactly the right horse. Indeed, we already feature prominently in the report with two interesting case studies on our ennexOS energy management platform and our Worker Information System. Digitization and photovoltaics therefore complement each other perfectly. What hurdles are still to be overcome? There are indeed still a number of hurdles to overcome, which is also why the work of the task force is so important. We have summarized these hurdles in the “Regulatory Asks” that have already been mentioned. The existing regulations were to a large extent created for the classic energy industry model. Indeed, it is noticeable that digitization was never brought up as a serious subject and in part was even considered with skepticism because, for example, it opens up new challenges in terms of security — challenges that we naturally have to face up to. The policy makers must urgently clear these hurdles in areas such as the peer-to-peer electricity trade, the implementation of new, innovative technologies and business models in order that Europe can take on a pioneering role in digitizing the electricity supply. Here in Germany, new barriers could arise out of the “Law on Digitization of the Energy Transition” if we do not pay extremely close attention in the near future. What are the next steps now for the task force and for SolarPower Europe? We are planning to hold webinars in December and January, in which we will present the study and our ten „Regulatory Asks“ to the policy makers and regulators based in Brussels and the individual European countries, and discuss these with them. Furthermore, the first “Digital Solar & Storage” event organized by SolarPower Europe will be held in the BMW Welt Exhibition Center in Munich on December 5, with SMA as strategic partner. Representatives from the areas of photovoltaics, storage and digitization will come together at this event with the goal of creating a cross-industry platform for the energy supply, heating and mobility sectors. As far as the task force is concerned, we are in the process of defining the objectives for the coming year because it is clear that the subject of digitization and photovoltaics will also be of great importance to the industry in 2018. Detlef, thank you for the interview. E-Mobility Plugfest: The Heating Communicates With the Car What is the monetary value of Smart Connected?